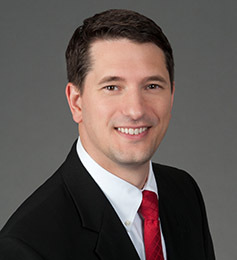 Brent Wardrop manages the firm’s lender services department including bankruptcy, eviction, and litigation work related to foreclosures for lender and loan servicing clients. He brings years of experience in this arena and other litigation areas including representing homeowners’ and condominium associations, lenders, borrowers, builders and contractors, and insurers. Prior to joining the firm, Brent practiced complex commercial litigation in Orlando, Florida, with de Beaubien, Knight, Simmons, Mantzaris & Neal, LLP. He is a member of the Young Lawyers Division of the Orange County Bar Association (Florida) and the Ninth Judicial Circuit Professional Committee. Brent is admitted to practice in Georgia, Florida, Tennessee, Northern District of Georgia, Middle District of Florida, and the Eleventh Circuit Court of Appeals. He was named to the 2012 “Florida Rising Stars” list and the 2017 “Georgia Rising Stars” list by Super Lawyers Magazine.